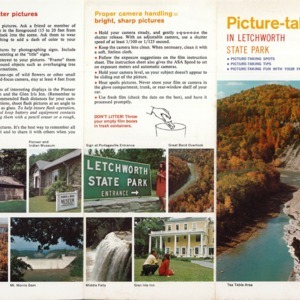 Replica of a structure built in 1874 by William Pryor Letchworth, who also supplied students with books and a melodeon. 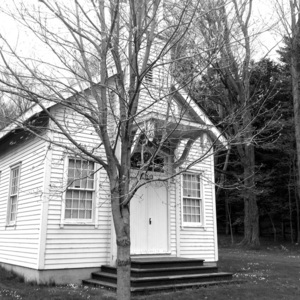 The school was used for 60 years, then torn down in 1947 before this replica was built forty years later. 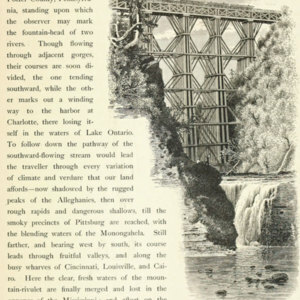 Famous Erie Railroad viaduct over Upper Falls at Portage, located in present-day Letchworth State Park, accompanied W. S. Ward's essay "The Valley of the Genesee." 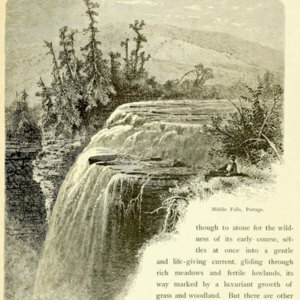 View of the most famous waterfall in present-day Letchworth State Park accompanied W. S. Ward's essay "The Valley of the Genesee." 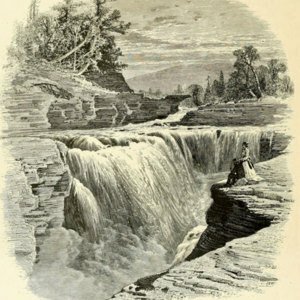 Scenic view of waterfall near Glen Iris Inn, located in present-day Letchworth State Park, accompanied W. S. Ward's essay "The Valley of the Genesee." 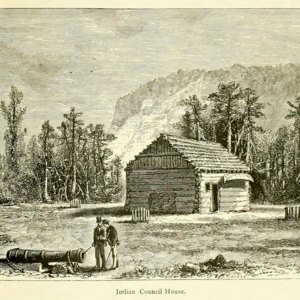 Illustration of Seneca council house, in present-day Letchworth State Park, accompanied W. S. Ward's essay "The Valley of the Genesee." 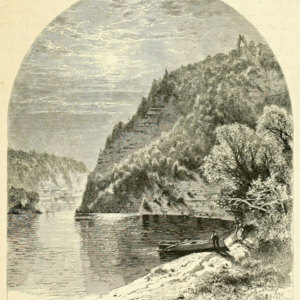 Scenic view from the northern end of present-day Letchworth State Park accompanied W. S. Ward's essay "The Valley of the Genesee."